RapidRatings is the creator of the proprietary FHR® (Financial Health Rating), the industry’s leading assessment of public and private company financial health. Their disruptive methodology, scalable solutions, and unparalleled support enables businesses to effectively manage and price risks associated with the financial health of third-parties including customers, trading counterparties, suppliers, vendors, and investments. Hundreds of leading organizations across industry verticals rely on the FHR’s® data visualization and detailed reporting tools to provide visibility and early warning of financial deterioration. 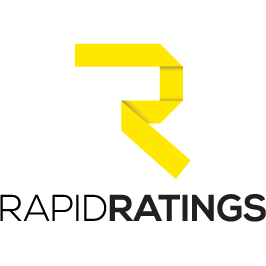 RapidRatings is the only company to rate public and private companies, globally and with the same depth of analysis. In May 2017, RapidRatings chose to adopt Sage Intacct Contracts Billing and Contracts Revenue Recognition functionalities, as well as integrate their Sage Intacct environment with the Salesforce CRM platform. The Contracts Module helps ease the pain of using manual methods and disconnected applications, in addition to leveraging best-in-class revenue management capabilities. The module also allows for dual treatment of contracts according to both ASC 605 and ASC 606. This provides organizations with immediate visibility into how the upcoming guideline changes impact financials. In addition to the Sage Intacct Contracts functionalities and integration of their Sage Intacct environment with Salesforce, RapidRatings also implemented Avalara. Avalara offers seamless, automated end-to-end sales tax compliance solutions for your whole business. It was up and running in a week and they instantly saw the benefits. Something as simple as searching for zip codes used to be a cumbersome activity for their accounting team, but with Avalara it’s nearly instantaneous.